Tyranny of King Washington - a 3-part DLC series exploring an alternate reality in which George Washington goes mad with unlimited power, foregoing Presidency to rule as tyrannical King. In this alternate world, Connor is and remains Ratonhnhaké:ton. Having never become an Assassin, he must endure new trials, acquiring the skills he'll need to take down a possessed Washington and win freedom for his land once and for all. 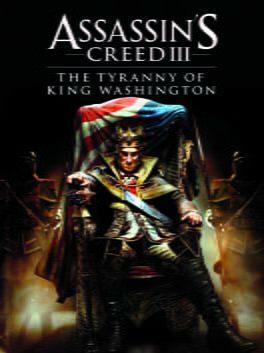 Assassin's Creed III: The Tyranny of King Washington is available from 3.95 to 4.99 from 1 shops.